Located in Cortez, Florida, the Florida Maritime Museum showcases the cultural and economic history of the area’s maritime and fishing industries, offering a variety of exhibits and public event programming on a four-acre plot of historic fishing village land. The village of Cortez is one of the oldest extant fishing villages along the Florida Gulf Coast, though the area’s history as a major fishing hub dates back to indigenous use prior to the arrival of Europeans in the Americas. The modern-day village of Cortez was settled in the 1880s by settlers arriving from Beaufort, North Carolina and originally named Hunter’s Point. The village’s present-day name is believed to be a reference to Spanish conquistador Hernán Cortés. Today, the village is one of the last remaining fishing villages of its kind in the Florida region, still primarily populated by descendants of its original settlers. As part of the Bradenton-Sarasota-Venice metropolitan region, the village has a population today of approximately 4,500 residents and functions as a commercial fishing village and tourist attraction. The Florida Maritime Museum nonprofit organization was founded in 1998 as a community effort to preserve the history of Cortez and the Gulf Coast region in the face of current urbanization and modernization trends in the region. The museum was opened in a former 1912 one-room schoolhouse, which operated as an educational facility until 1961 before being converted into a private residence. Following owner Robert Sailors’ death in 1995, the building fell into disrepair for several years before being reclaimed and preserved by the city as a historic site. 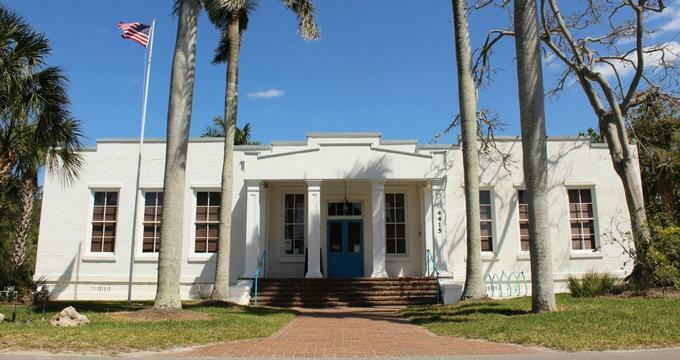 The schoolhouse was proposed as a site for the Florida Maritime Museum’s public collections in the mid-2000s, and in 2007, the museum was officially opened to the public. Today, the Florida Maritime Museum offers a variety of public exhibits and educational programming designed to preserve the rich history of the Florida Gulf Coast region’s commercial fishing industry. The museum also owns and oversees the city’s historic Pillsbury Boat Works building, a boat-building machine shop relocated from nearby Snead Island, and the former Burton Store general store and post office building. As a community resource and educational organization, the Florida Maritime Museum strives to preserve the industry and culture of the Cortez area for future generations. Permanent exhibits showcased at the schoolhouse museum facility include the Blake Banks Collection, which preserves the shell specimen collections of local fisher Captain Blake Banks. The collection, donated to the museum by his wife, Betty, after his death, focuses largely on rare and unusual specimens found within the Gulf of Mexico throughout Banks’ career. A large exhibit of Boat Models is also showcased, many serving as miniature scale models of real ships that once were used in the region for industry and leisure. Information on the history of model boat-making is presented as part of the exhibit, elaborating on models’ use as industry and craft tools, children’s toys, and religious items. The museum’s Florida Maritime Library also offers a variety of volumes related to Florida history and culture topics, including books on boat building, design, and the commercial fishing industry. Visitors may explore the library at their leisure during regular museum hours, and students and researchers may reserve scholarly use of the library via appointment. In addition to the main museum facility, the Florida Maritime Museum also operates a Folk School at the Florida Maritime Museum out of the former Burton Store building, which has been relocated from the Cortez waterfront to the village’s downtown area. Originally opened in 1890, the Burton Store formerly served as a general store and post office and was eventually expanded as part of the village’s Albion Inn. The Folk School, launched within the facility in 2017, offers a variety of heritage skill courses for community members, focusing on pre-modern trades and crafts. Courses offered at the school include kombucha making, gyotaku fish rubbing, indigo dyeing, cast-net mending, memoir writing, and traditional storytelling and sea shanty study classes. Courses are intended for teen and adult participants, though younger students are welcome with a guardian. A variety of educational programming is offered by the museum, including curriculum-incorporated field trips for elementary and secondary school groups. A traveling trunk outreach program also brings museum materials directly into the classroom, and offsite lectures are available for community groups and organizations. Regular public special event series include a lecture series and Music on the Porch and Round Robin jam session events for amateur musicians. Annual events include a fundraising boat tour event, a nautical flea market, and a Maritime by Candlelight evening tour of the museum’s facilities.